As a Dallas native and lover of eclectic style, Shellyʼs passion for interior design started while studying fashion design at the prestigious Parsons School of Design in New York City. Shelly became enamored by color, textiles, antiques and the unique beauty of different cultures while traveling the world as a designer for Ralph Lauren. With a passion for classics and an eye for contemporary art and design, Shellyʼs true expertise lies in her ability to artfully mix authenticity and modernity to match her clientʼs tastes. 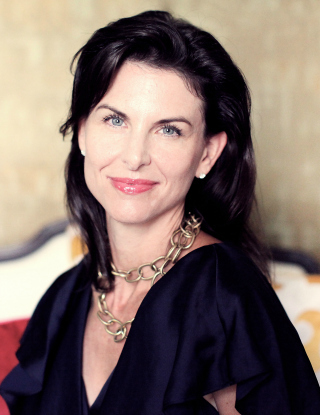 Whether designing a polished urban loft, a stylish mid century modern, or a relaxed, classic family retreat, Shelly aims to bring the highest level of quality and service to her clients and to create warm, beautiful, comfortable homes that reflect their ownerʼs unique personality and lifestyle. Her projects in Dallas, New York and the West Coast have won her a diverse and devoted residential and commercial clientele. We believe in the power of great design. We share a passion for the sophisticated, the delightfully unexpected, and making the old new again. Our mission is to inspire and enrich our clients’ lives by creating artful, timeless, and fulfilling personal spaces. Over nearly twenty years in the fashion and interior design business, Shelly Lloyd has successfully managed large scale projects and budgets. Our tight-knit team is well- educated in fashion, interior design and interior architecture, furniture design, project management, communications, and finance. We are trained in a variety of styles, from classical to contemporary, formal to playful, and are experts in creating authentic period looks or mixing modern pieces with older gems. We prefer the term “styling your home” to “decorating”. The former giving a sense of fluidity and changing with time and tastes. Whether we are engaged in a full-scale remodel or customizing a furniture piece for a store client, our goal is to provide a well-conceived, functional design plan that can be implemented in a time frame, budget and style consistent with the client’s desires. We take pride in doing our work well and in enjoying the process. Partnering with specialists when needed, including art consultants, professional organizers, relocation specialists and others.